Catnip is a very fragrant herb that is great for making aromatic teas, as well as giving it to your cats as a treat! 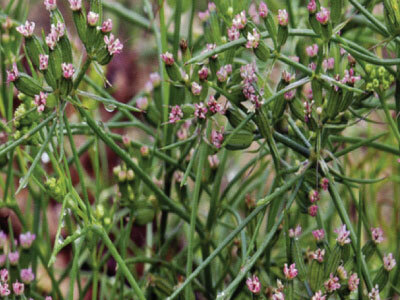 This vigorous plant is not only great for playing with a cat, but is also known for having medicinal properties for getting rid of the cold and flu. Catnip has more benefits than satisfying cats. The perennial herb is a member of the mint family and can attract beneficial insects to the garden while keeping pests away. 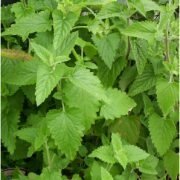 Catnip is an easy-to-care-for herb that spreads quickly and does best along garden beds or as a border. It can also be grown in containers or in hydroponic systems. 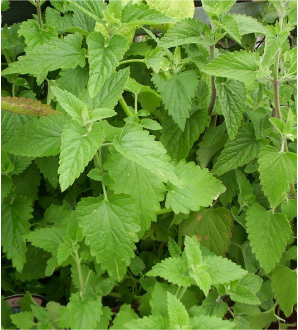 In addition to its foliage, catnip grows white and lavender flowers and can reach four feet in height. Before Planting: Catnip can be planted from seed or transplanted into the herb bed, but if planting from seed there are certain steps to take to ensure germination. Catnip seeds are tough and need to be stratified, which means they need to be slightly damaged before they will sprout. To stratify a catnip seed, freeze the seeds overnight and then leave the seeds to soak in water for 24 hours. Planting: After you have stratified the seeds, you can plant them indoors or outdoors. If planting outdoors, plant in rows after the last chance of frost. Catnip seeds can be planted in the spring or in the fall. Watering: Water every other week unless in a drought, water once every week. Fertilizer: Catnip grows very quickly and does not require fertilizer. 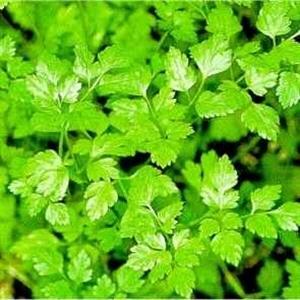 Fertilizing catnip can actually damage the potency of its smell and flavor. Days to Maturity: Catnip leaves can be plucked at any point during their growing season and flowers should be picked just after they open. Harvesting: Pinch off individual leaves and flower blooms or cut entire stems depending on usage. Collect seeds from the flowers to replant if desired, but the catnip will reseed itself in the same spot and return each year. Tips: Catnip can become invasive, and to prevent it from reseeding itself, remove the flowers prior to them going to seed.